Sometimes the size of the font on your computer can be too small or hard to see. This may occur due to display scaling issues on higher-resolution screens. Luckily, Windows 10 lets you resize text to the size that you like. Here is how to do that. 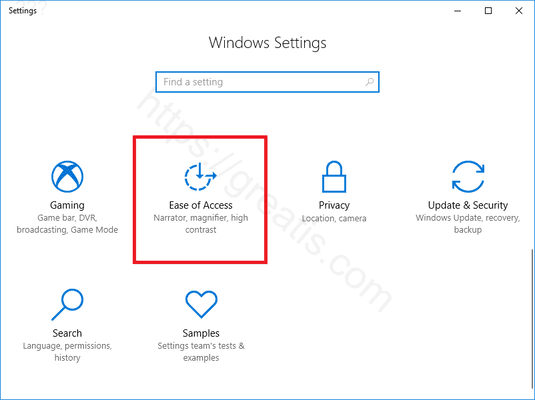 STEP 2: Then click the Ease of Access category. STEP 3: After that, select the Display tab on the left pane. 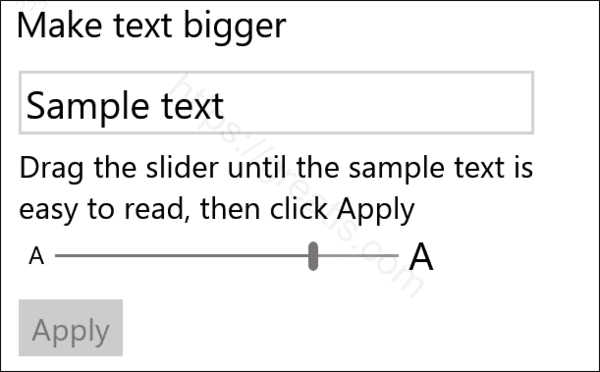 At the right side under the Make Text Bigger section, slide the bar until the sample text is easy for you to read and then click Apply.